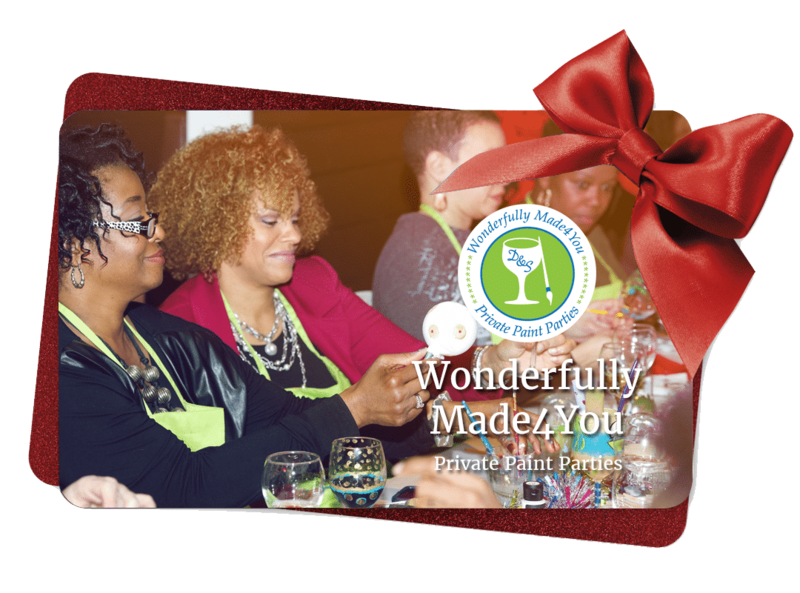 Our electronic Wonderfully Made4You gift card is great for use with our online classes and events. Send it to yourself or directly to others instantly! 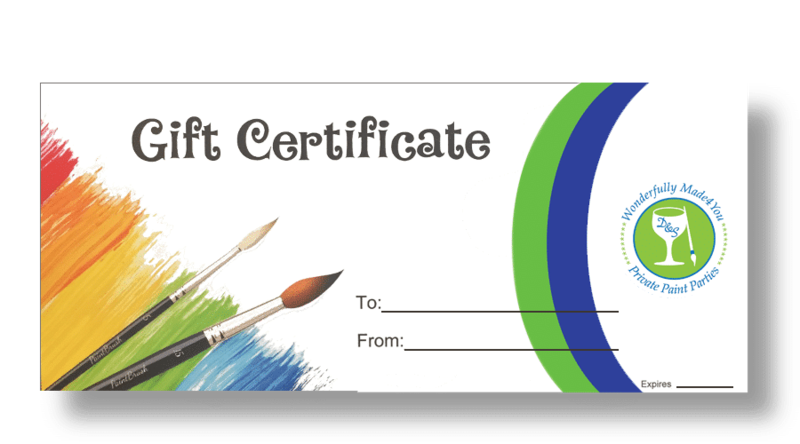 Our Wonderfully Made4You eGift card is great for use with any of our painting parties. Have someone who enjoys our canvas or wine glass paint nights? This is the gift for them. Have a store gift certificate emailed to you or directly to your special someone. And the outstanding balance is kept online and the electronic gift cards never expire!